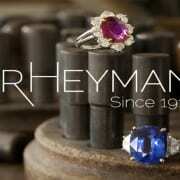 Get ready for the big event by browsing our live auction items! Take a break from the rain and head to Kihei, Hawaii for a five-night stay in a one bedroom suite at the Maui Coast Hotel. 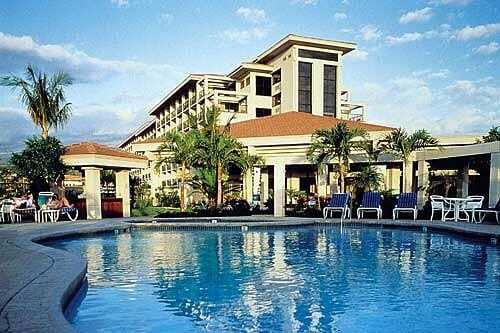 On the south side of Maui, this luxury hotel is across the street from a wide stretch of beautiful, white sand beaches, and is within minutes of championship golf courses. Relax in your suite, which includes a king bed, a large sitting area with pullout couch, flat screen TVs, a wet bar and a private lanai. Or head out and enjoy the glorious weather as you eat at the Poolside Café, take your try on a stand-up paddle board, or go snorkeling in the reefs. Enjoy live entertainment nightly. Hotel valid Dec. 1, 2015 – Dec. 1, 2017. Subject to hotel availability. No extensions. Not Valid Dec. 19 – Mar. 31 and July 1 – Aug. 23. Generously donated by the Maui Coast Hotel. PURCHASE TICKETS FROM YOUTH OR STAFF DURING COCKTAIL HOUR. You and your guests will sit at the best table in the room! Your personal server will bring you a gourmet main course of cocoa nib crusted painted hills filet with garlic herb grilled prawns served with fennel, citrus, butter crushed Yukon potatoes and seasonal vegetables. For dessert, drown yourself in chocolate blackout cake, a rich chocolate cake layered with chocolate buttercream and drizzled with caramel sauce. Enjoy the finest wines, and toast with a glass of champagne. If you’d like to purchase the VIP table in advance, contact Melissa Froman at [email protected] or 971-803-7761. This package will take you away from it all. For your first trip, head to the Oregon Coast and relax for two nights at The Stephanie Inn in an oceanfront king room with a gas fireplace, Jacuzzi, wet bar & patio. Enjoy a complimentary gourmet chef’s breakfast buffet, afternoon wine gathering, and an evening nightcap. Your stay also includes $158 towards dining in the Stephanie Inn dining room. The next time you need a break, head to Seattle for a one-night stay in a deluxe room at the Silver Cloud Inn on Lake Union. Enjoy a gourmet meal at a Tom Douglas’s restaurant, the Dahlia Lounge, a modern space serving Asian-infused Pacific Northwest cuisine. Take in the view of Seattle with two tickets to the Space Needle, and cheer on the Seattle Sounders with 2 Club Level seats, section 212, row? at the July 13th game. Cap off your evening with a bottle of Erath Winery Willakia Chardonnay. Package also includes a Tom Douglas autographed cook book. Stephanie Inn certificate valid Sunday through Thursday, excludes June 2016 through October 2016 and June 2017 through October 2017. Expires 12/27/2017. Silver Cloud Inn valid October through May and subject to availability and blackout dates. Expires 12/31/17. Generously donated by Martin Hospitality, the Silver Cloud Inns and Hotels, Tom Douglas Restaurants, the Space Needle, Jose Moreno and Erath Winery. Make your tween’s dreams come true by surprising them with tickets to the Nick Jonas and Demi Lovato Future Now concert! They will be performing at the Moda Center on August 20th, 2016. Package includes four tickets in Section 111, Row A, and 2 parking passes. Then, in December, make it a special evening out taking your kids to see the 2016 performance of The Nutcracker Ballet. You will enjoy a backstage pre-show tour then watch the performance from your VIP seats. Package includes eight tickets, signed pointe shoes, and a poster to be presented at the pre-show, backstage tour. What could make The Nutcracker even better? A stretch limousine ride taking you in style! Limousine can hold up to eight passengers for up to three hours of service. Gratuity not included for the limousine and cannot be schedule on a Saturday or Sunday. Generously donated by Shannon Inukai-Cuffee, Oregon Ballet Theater, and Lucky Limousine. Enjoy the ultimate Blazers experience watching the Blazers take on the Dallas Mavericks on March 23, 2016 at the Moda Center! You and three guests will start your evening with early entry at 5:00pm to watch the teams’ shoot-around courtside. From there you will head up to have appetizers and drinks in the Trail Blazers private VIP lounge, Sphere. Following that you will be treated to dinner in the Rose Room, after which you will head down to your 100 level seats. Package includes four tickets, two parking passes, and a Blazers team autographed basketball. But that’s not all… For your next Blazers experience, get up close and personal watching the Trail Blazers play from courtside seats! On March 26th watch the Blazers take on the Philadelphia 76’ers. You’ll get to see Damian Lillard dish a pass to CJ McCollum for a 3-pointer, or feel the sweat of Mason Plumlee when he throws one down! Package includes a 2015-16 Blazers Team Guide, a parking pass in the Garden Garage and two courtside seats in section 113, row AA. And there’s more!… How about a football game? Head to Wisconsin to watch the 13-time Super Bowl champions, Green Bay Packers, at Lambeau Field for a 2016 game. These four coveted seats are in Section 124, Row 49, on the 20 yard line behind the Packers bench. Includes a Cheese Head and Green Bay Packer hat. Finally, make this experience the best by designing your own custom pair of Nike shoes using your $150 NikeiD gift certificate. Your shoe is a blank canvas. Change the colors or add your name, number or motivational message to create your one-of-a kind shoe, which will be ready in just four weeks. Date of Packers game TBD by donor of tickets. Generously donated by the Portland Trail Blazers, Shannon Inukai-Cuffee, David Rix and Nike. 4. An All-Star Line-up of Fun! Take a journey to Astoria for a one-day private salmon fishing trip for two with former Trail Blazer great, Brian Grant. He will take you out in his personal fishing boat, providing poles, food and fun! Before you go, outfit yourself in gear with your $250 Columbia Sportwear gift certificate. After you get back, head down to the Multnomah Whiskey Library with your very own, highly coveted one-year membership. Members are entitled to access members-only events, have priority access to the Tasting Room where you can host private dinners & meetings, two hall passes for up to a party of four so your family and friends can have access to The Library, a MWL hosted private education for a party of four and up to $75 of spirits tasting, two MWL logo Glencairn tasting glasses, and much more! If that’s not enough… Invite a group of buddies over to watch the game and feed them with a Chipotle Mexican Grill catering gift certificate for up to 20 people. Lastly, burn off all those calories on your Bowflex Max Trainer M3. 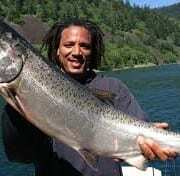 Must have own fishing license and tag to record and harvest catch for the fishing trip. Multnomah Whiskey Library- membership is not transferable and member must be present with any guests during reservations. 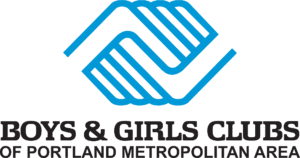 Generously donated by Brian Grant, Erin Hubert, Multnomah Whiskey Library, Chipotle Mexican Grill and Nautilus Inc.
Shopping, shopping, shopping! Warm up with a one-hour personal styling appointment for two at Nordstrom Downtown followed by lunch in the Nordstrom Restaurant, $30.00 gift certificate. Move on to family-owned Packouz Jewelers where you will spoil yourself spending a $5000 gift certificate on designer & custom jewelry. Next, head to Mercantile Portland to build your wardrobe with high-end, contemporary clothing using your $1000 gift certificate. Take a break for happy hour with your $25 Brix Tavern gift certificate then, when you are ready to drop, head to Hotel deLuxe and pamper yourself in this art deco-style 1912 hotel, for a one-night stay in a king room. Put your feet up, munch on a tin of gourmet popcorn from Poplandia Popcorn, and continue shopping on-line with your $75 Cabi gift certificate and $50 Stella & Dot gift certificate. Hotel deLuxe certificate valid through December, 2016. Cabi gift certificate to be redeemed with Cabi stylist. Nordstrom styling appointment must be scheduled one week prior to desired date. Lunch excludes alcohol. Generously donated by Packouz Jewelers, Mercantile, Provenance Hotels, Nordstrom, Brix Tavern, Poplandia Popcorn, Dionnie Storino of Cabi, and Stella & Dot. An experience unlike any other! Be a spectator at the 2016 Masters! Package includes two tournament badges for Saturday, April 9 and Sunday, April 10, 2016. 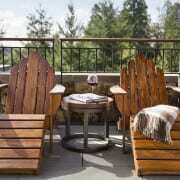 Included are two Double Eagle Club hospitality facility membership passes and three nights’ accommodations. The Double Eagle Club is a 10,000 square foot facility directly adjacent to Augusta National Golf Club. It is a country club-like experience boasting a private entrance, spacious outdoor patio deck, putting green, valet parking and first-class service that truly embodies “Southern Hospitality”. The Double Eagle Club offers a delicious spread for breakfast, lunch and dinner, paired with a premium bar throughout the day. During your visit, you will stay for three nights in a fully-furnished private residence, shared with other Masters goers, located close to the golf course. Redemption of package must be done by Friday, March 11, 2016, after which package is null and void. Generously donated by Augusta National Golf Club and Terry & Susie Porter. This is the stuff dreams are made of! 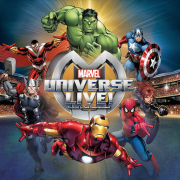 Help send 20 Boys & Girls Clubs kids, accompanied by BGCP staff, to watch, from the comfort of a luxury suite, their favorite Marvel Super Heroes come to life. They will see Spider-Man, Captain America, Thor, Iron Man, the Hulk and the Wolverine come together to defeat Loki the villain, with cutting-edge special effects, pyrotechnics, aerial stunts, martial arts, motorcycle acts and more. Treat these youth to a thrilling experience! Dinner is included. Make this experience a reality for only $500 a seat. Generously donated by Wells Fargo Bank. Coming off their best season ever, you and your guests will get to cheer on the 2015 MLS Cup Champions, the Portland Timbers, in the comfort of a luxury suite at Providence Park! Package includes 20 game tickets and two parking passes and a bottle of Portland Timbers el Jimador Tequila. Then continue to treat your soccer fever with a Portland Thorns match, our very own local National Women’s Soccer team featuring Tobin Heath and Christine Sinclair! Watch this 2013 NWSL championship team also in a luxury suite. Package includes 20 tickets and two parking. Alcohol and food/catering is available for purchase. Timbers dates to choose from are Sunday, May 15 vs. New York City FC, Sunday, June 26 vs. Houston Dynamo, Sunday, Aug 7 vs. Sporting Kansas City, Saturday, Sept 10 vs. Real Salt Lake, Saturday, Sept 17 vs. Philadelphia Union, and Sunday, Oct 16 vs. Colorado Rapids. Portland Thorns game date to be mutually agreed upon. Generously donated by Fred Meyer. The weekend is coming and you have no plans. Now you do! Head to Newberg for a stay in the beautiful Allison Inn & Spa for two nights in a deluxe king room with a fireplace and soaking tub. 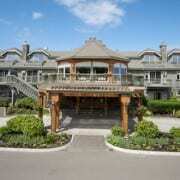 This upscale spa hotel is within 10 miles of dozens of wineries and just a few miles from Chehalem Glenn Golf Course. Find yourself free for another weekend? Invite your friends, up to 16, to a private wine tasting at the new West Linn tasting room at Pete’s Mountain Vineyard & Winery. Savor premium local wines in the cozy ambience of the Northwest-inspired tasting barn. While sampling, feast on hors d’oeuvres provided by Allium Bistro. Allison Inn based on availability. Holidays and high demand weekends excluded. Not valid June-October. Expires 12/31/17. Generously donated by Alison Inn, Pete’s Mountain Vineyard & Winery, Allium Bistro. Whether it’s a date night or a friend’s night out, this package will provide your entertainment. Start with flying down to Los Angeles with two roundtrip airfares on Southwest Airlines to see Emmy-winning funnyman, Jimmy Kimmel, live. 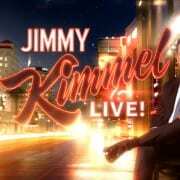 You will receive two tickets to the VIP Greenroom and taping of Jimmy Kimmel Live! Enjoy complimentary refreshments and hors d’oeuvres while in the Greenroom waiting for the taping to begin. When back in town, listen to the sounds of the Oregon Symphony. Now in its 120th season, you and your guests will have backstage access to meet the orchestra musicians and soloist. Package includes three ticket vouchers (valid for six tickets) to select concerts during the 2015-2016 season. How about a Staycation? Take time to explore Portland while enjoying a two-night stay in a king or double room at Portland’s #1 Boutique Hotel, Hotel Lucia. Set in a 1909 landmark, this chic downtown hotel is three blocks from the Pioneer Square North MAX Station and seven blocks from Governor Tom McCall Waterfront Park. Top off your stay with an elegant meal at the old-fashioned steakhouse, El Gaucho using your $200 gift certificate. Jimmy Kimmel Live shoots Monday-Thursday each week. Southwest Airline e-vouchers valid 2/15/16 – 2/15/17. Oregon Symphony: Must contact Julia Martin prior to event to arrange for backstage access. Orchestra musicians are guaranteed. Meet & greet with soloist is possible but not guaranteed and is dependent upon soloists contractual arrangement with OSA and their agreement to such a meeting in advance. Hotel Lucia voucher valid through Dec. 1, 2016. Generously donated by Southwest Airlines, Jimmy Kimmel, Oregon Symphony, Provenance Hotels, and PREM group. 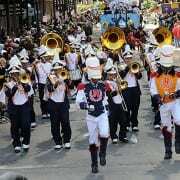 The weekend before Fat Tuesday is the prime time to visit New Orleans for Mardi Gras! This is the weekend when Bacchus and Endymion, two of the biggest parades of the season, roll down the streets of New Orleans. You and your guest will get to experience the excitement and over-the-top entertainment from February 24th to February 26th, 2017. Your trip includes two round-trip coach tickets on Alaska Airlines and a two-night stay at the Old No. 77 Hotel & Chandlery in a deluxe queen room. A historic hotel with vintage charm, this hip Arts District hotel is located along the parade route and is just three blocks from the French Quarter. Alaska Airlines: Vouchers expire Feb. 27, 2017. Travel valid on Alaska Airline flights numbered 1-999, 2000-2999, 3450-3499. No blackout dates. Not valid on code-share partners. Generously donated by Provenance Hotels & Alaska Airlines.